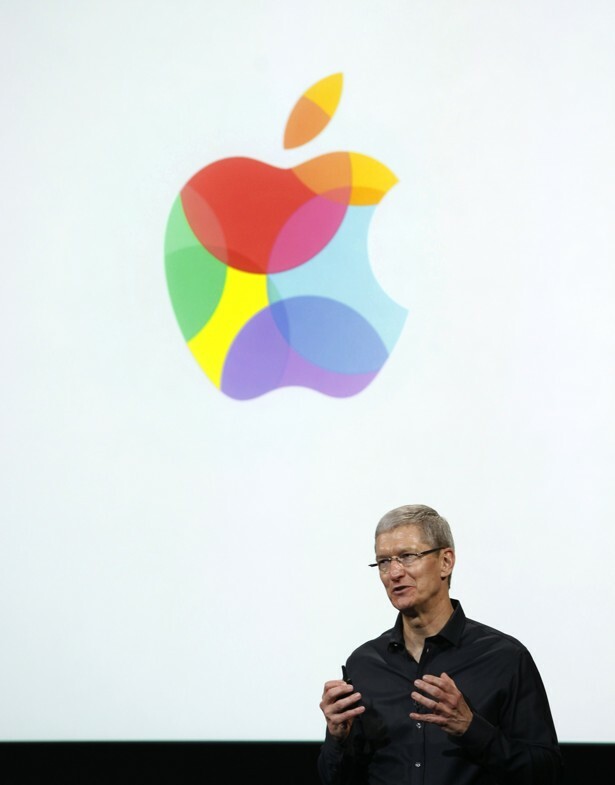 Apple’s long-awaited streaming music service was announced today. Called iTunes Radio, it’s a familiar model: Choose an artist, album or genre and it plays an unending stream of related music. You can tell it that you like one song in particular or that you never want to hear a certain song again. It promises exclusive access to new releases, and it’ll be available on desktops, iPhones and iPads. It is, in short, Pandora for iTunes. Apple watchers have been expecting a streaming music service from the company for so long that the news was generally overlooked. (There are new, colorful, plastic iPhones now, after all!) But the product’s formal announcement is a huge development in the ongoing history of digital music — even if iTunes Radio tanks. Apple, the company which made (some) of its fortune finding a way to distribute music downloads legally online, is now competing with a younger class of digital music vendor. Those newer music services are an increasingly big deal. They’re now at the center of some music conversations: Rdio has exclusive access, this week, to the band MGMT’s new album. And older companies — not just Apple — want a piece of the action: Microsoft made its music service available to all web users on Monday. The Store Now, the classic model for online music distribution. You search for the song on iTunes or Amazon; you hit the “buy” button; and some amount of money near $1.00 is transferred from your bank account to Apple’s coffers. In return, you get an MP3 of the song forever -- and, since 2009, that song has come without any restrictions on its use. The Locker For some yearly fee, Apple (or, again, Amazon) will store all the music you own on its servers. It is one of the more recent entrants to the field and relatively simple to understand: All the music you have already purchased, just online. The Stream The prototypical example here is Pandora. You tell a company a song or artist or genre you like, and its algorithm selects music you also might like. Notice the severe restrictions on use (you can’t make a movie and use Pandora music as your soundtrack!) and the lack of choice (the service limits you from playing too many songs from the same artist or album!). Often, these services are ad-supported, although, last month, Rdio tacked this feature onto its subscription service. The Library A service maintains a large library of recorded music on its servers, and you can listen to whatever you want from that library however much you want. (If you want fifteen straight hours of Genesis, you can play fifteen straight hours of Genesis!) The two big Library companies are Spotify, which is connected* to Facebook and which allows free users to listen to music intermixed with ads; and Rdio, which has no ads but is only available to paid subscribers. Though it gives the user more choice, The Library shares many economics with The Stream: there are restrictions on what you do with the music (you still can’t set it to a montage! ), and its payments for the musicians tend to be pretty paltry. The YouTube The website, owned by Google and ostensibly for sharing video, is without peer in the world of music services. According to a 2012 Nielsen study, “nearly two-thirds” of American teenagers listen to music on the site, “more than any other any other medium.” And it’s not hard to see why: With its ubiquity, large library, recommendation engine, and cost (free! ), it combines some of the most attractive aspects of The Library, The Stream, and The Locker. And, thanks to pre-roll and display ads, listening to music on the service also supports musicians and record labels, though at Library-like levels. * The original published version of this article said Spotify was owned by Facebook. This was totally wrong. It’s not, though it did require a Facebook account when it first welcomed North American users.